Rick Perry blamed his criminal indictment and exclusion from the Republican debate mainstage for his failed presidential bid in his first interview since suspending his presidential campaign on Friday. "The indictment by the Travis County district attorney’s office, this drunk DA that had used this office, we think, for political purposes… it had a real corrosive effect on our ability to raise money," he said on Fox News' "Hannity." “The political opponents, they did their damage," he later added of his legal problems. The indictments against Perry were lodged by a special prosecutor, and brought by a grand jury, not the Travis County DA, as Perry said on Hannity. But Perry also said his campaign effectively ended in early August, when he missed the cut for the Fox News GOP debate in Cleveland. "The other thing that we knew had to happen was we needed to be on the main debate on Aug. 6," he said. "We missed it by a few percentages of one point... It had a very negative impact on our fundraising through the summer." 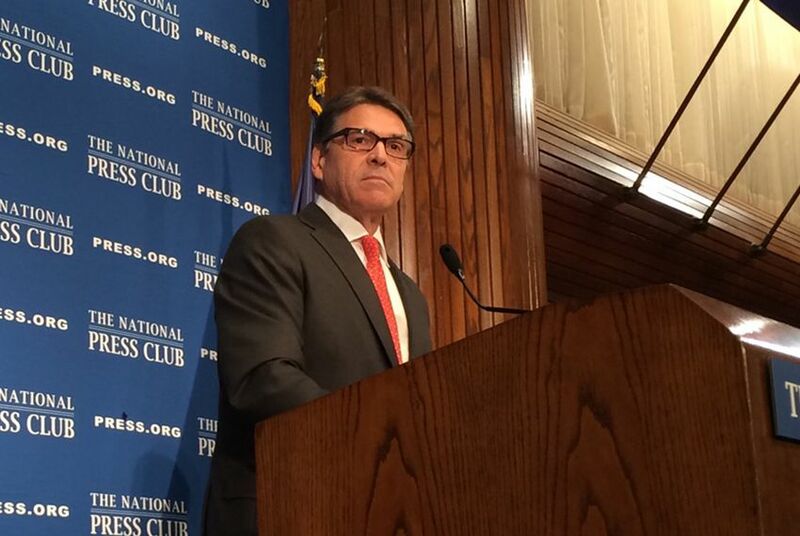 In interviews since Perry made his Friday announcement, political operatives around the country have suggested that his departure from the broad field will have a nominal effect on polling. But several presidential campaigns swooped in to court his donors — and consultants say his campaign featured quality staffers who are ripe for the picking now. In Monday night's interview, Perry revisited his numerous criticisms of real estate developer Donald Trump, who is leading in the GOP polls. But he also expressed frustration that public service, specifically as governor, is being overlooked on political resumes at a time when outsiders are dominating the polls. “Donald Trump’s bullets going through Washington went through and hit people like myself, hit people like all the governors that are on the stage, for instance," he said of his former rival. "I don’t believe this is the only profession in the world where your experience ought to be held against you." Clarification: A previous of this version did not clarify that the indictments against Rick Perry were not brought by the Travis County DA, but by a special prosecutor.